TreasuryONE said earlier that the rand was holding on to its Friday gains but the continued load shedding might put a brake on any further strength. The rand closed at R14.42 to the greenback on Monday afternoon. The day's range was between R14.35 to R14.49. OVERVIEW: US equity futures and European stocks posted modest gains at the start of a week filled with potentially significant catalysts from central bank meetings, geopolitical developments and economic data. Treasuries were little changed and the dollar drifted lower. Futures on the S&P 500 and Nasdaq edged higher, while Dow contracts slipped as Boeing declined in pre-market trading on reports the Transportation Department was examining the 737 Max’s design certification. European stocks climbed, led by miners and lenders as Deutsche Bank AG and Commerzbank got the green light to proceed with negotiations on a tie-up. In Asia, Chinese and Hong Kong shares led the advance. The pound fell as Prime Minister Theresa May continued to face opposition to her Brexit plans. Equities are grinding higher and volatility is declining on expectations the Fed will point the way to just one rate hike in 2019 when it meets later this week. A slew of other central bank gatherings, including the Bank of England, will give further clues on monetary policy. In politics, investors are keeping an eye on this week’s Brexit developments as the British prime minister works to win support for her divorce agreement. Elsewhere, oil slipped from near a four-month high as OPEC and its allies recommended deferring a decision on whether to extend oil production cuts until June. Emerging market currencies and shares climbed. The Stoxx Europe 600 Index increased 0.2% as of 07:08 New York time. Futures on the S&P 500 Index advanced 0.1%. The UK’s FTSE 100 Index increased 0.6%. Germany’s DAX Index decreased 0.1%. The MSCI Emerging Market Index jumped 0.9% to the highest in three weeks. The MSCI Asia Pacific Index jumped 0.9% to the highest in three weeks. The Bloomberg Dollar Spot Index decreased 0.1% to the lowest in more than two weeks. The euro increased 0.3% to $1.1355, the strongest in more than two weeks. The British pound declined 0.3% to $1.3255. The Japanese yen fell less than 0.05% to 111.49 per dollar. The yield on 10-year Treasuries climbed one basis point to 2.59%. Germany’s 10-year yield advanced less than one basis point to 0.09%, the highest in more than a week. Britain’s 10-year yield dipped one basis point to 1.198%. Italy’s 10-year yield fell six basis points to 2.441%, the lowest in about 10 months on the biggest drop in more than a week. Carel Vosloo will step down as investment banking co-head at FirstRand's Rand Merchant Bank to focus on other initiatives in the business. Vosloo, who has been in the role for almost six years, will step down at the end of September after relocating to Cape Town, the Johannesburg-based firm said in response to emailed questions. Emrie Brown will continue to manage the business as the sole head, while Vosloo will join RMB’s corporate and institutional executive committee, it said. Brown has been with RMB for about 18 years. Earlier this week, RMB said the co-heads of its corporate-finance unit, Craig Forbes and Puso Manthata, would also leave their positions in coming months, with new management expected to be appointed by the start of the lender’s new financial year in July. Vosloo, who according to the company’s website joined RMB in 2004, will continue to engage with key clients, it said. Like other lenders, RMB is battling slower corporate activity in its home South African market and is turning to other countries in the rest of Africa to drive growth, the company has said. Andre Botha, Senior Dealer at TreasuryONE said in a morning note to clients that the rand found some firmer footing toward the end of last week as volatility died down in the wake of the Brexit negotiations. By 10:23, the rand was trading hands at R14.41 to the greenback. "The rand also enjoyed a slight dip in the US dollar and traded in the R14.30's in late afternoon trade. This morning the rand is currently trading in the mid R14.40's and we expect the rand to stay mostly range bound for the start of the week. "The biggest risk event this week will be on Wednesday when the US Fed announces their interest rate decision. While the expected outcome is for the Fed to sit on their hands, the key to the speech would be whether the Fed will halt their tapering program, which will stop the US dollar liquidity squeeze which should be EM positive should it materialise. "This could be a welcome breath of fresh air on Friday when we return to the market after celebrating Human Rights day on Thursday. The public holiday will lower liquidity in the South African market which could make the rand react out of sync with EM peers should an event shake the market, which could mean that Wednesday's Fed meeting could have a greater effect than what would normally be the case. Shares in the Stellenbosch-headquartered multinational rose on the JSE in early trade on Monday, after it published an overview of a forensic investigation into its finances on Friday. 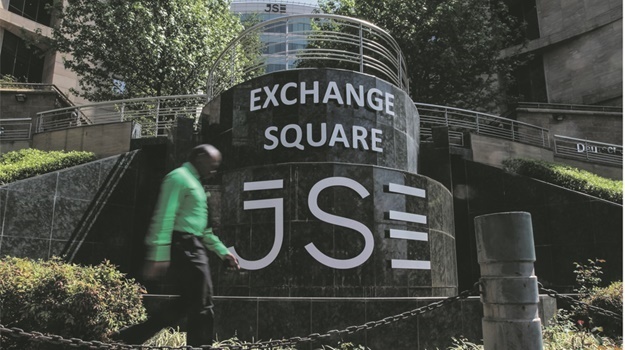 The group's shares closed at R1.84 on Friday and were changing hands at R2.03 at 09:06 on the local bourse on Monday. According to the overview, the small clique of executives used "fictitious and/or irregular transactions" to inflate the group's profits and assets by about 6.5bn euros between the 2009 and 2017 financial years. This translates to R106bn at current exchange rates. The 24-nation coalition known as OPEC+ needs to “stay the course” until June as its job is “nowhere near complete” in terms of restoring oil-market fundamentals, Al-Falih said late Sunday at a news conference in Baku, Azerbaijan. US inventories remain significantly above normal levels, and there is a risk of oversupply in the short term, he said. Stocks in Asia climbed on Monday, led by China, as gains that pushed global equities to the highest level since October continued ahead of this week’s Federal Reserve policy meeting. Treasuries steadied. Key equity indexes in Shanghai rose more than 1%, with equities in Japan and Hong Kong posting modest gains. US futures were flat after the S&P 500 Index capped its best week since November on Friday. The 10-year Treasury yield stayed below 2.6% in the wake of soft economic data. The dollar drifted, while the Aussie edged up. Equities are grinding higher and volatility is declining across bonds, stocks and currencies on expectations the Fed will revise its plan for a median projection down to just one rate hike in 2019. Signs of progress on a US-China trade deal are being tested, with a meeting between the two nations’ presidents now only expected in April at the earliest. Sterling was little changed after Chancellor of the Exchequer Philip Hammond ramped up the pressure on Brexiteer Tory MPs, warning they will trigger a long delay to leaving the European Union unless they support Theresa May’s proposed deal when it returns to Parliament. A growing number of Tories are now backing her agreement, he said, and the deal will only be put to another vote in the House of Commons this week if the government is confident of victory. Elsewhere, oil edged lower with traders watching for comments emanating from a planned meeting in Azerbaijan on Monday of a committee of OPEC+ members responsible for monitoring output.